Lock picking is a surprisingly fun hobby—all the joy of problem solving and the peanut gallery can’t really shout advice at you in the same way they would with a Rubik’s cube. 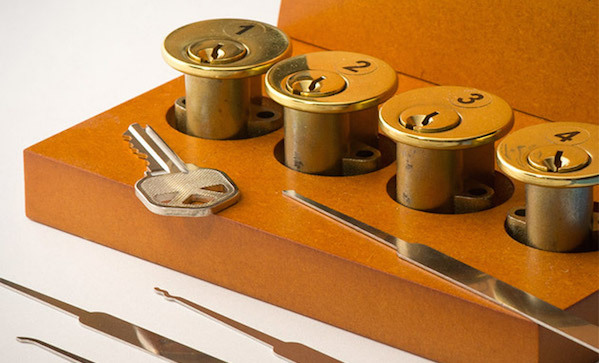 This Lock Picking School in a Box ($100) has everything you need to get going: an instruction manual, a set of picks, five locks in a box, each more difficult than the last, and a key. Just in case the lock picking doesn’t go well, we guess.